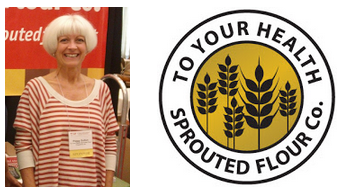 To Your Health Sprouted Flour owner and founder Peggy Sutton pays a visit to the show. To Your Health is a leader in sprouted flours and sprouted grains. Peggy explains that sprouted grains are what we used to bake with before the Industrial Revolution. She talks about the different varieties of flours and grains offered by her company, including ones for people that have wheat allergies or gluten sensitivities. Peggy also mentions To Your Health’s new processing facility and how we’ll soon be able to find her sprouted flour in more stores near us.